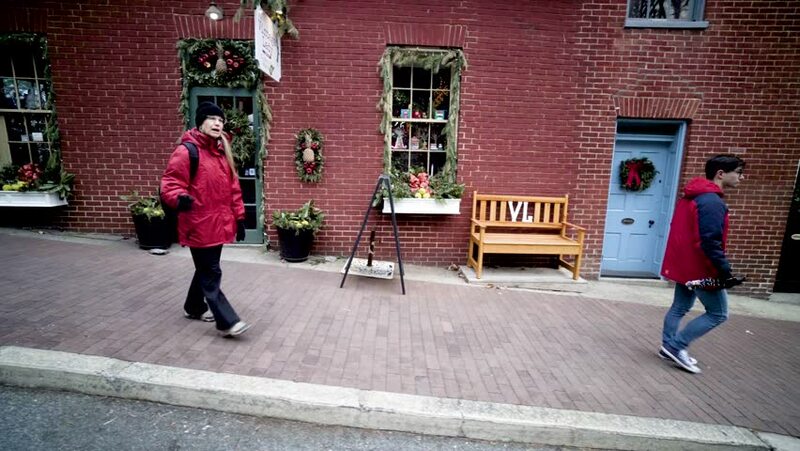 Mature woman walks with her teenage son down a sidewalk in a shopping area of Harpers Ferry National Park. hd00:18Charlotte, North Carolina / United States - 07 17 2018: Man dancing his heart away. hd00:21BANGKOK, THAILAND - March 12, 2016: Thai Culture Buddhism Ordination Ceremony at temple, Bangkok Thailand. 4k00:52San Francisco, CA - December 09, 2017: Unidentified participants in the 23rd annual Santa Con, exiting BART at Powell Station. An annual city wide Santas only pub crawl and toy donation to charity. hd00:09MOSCOW, RUSSIA - AUGUST 15, 2015: Children learn to roller skate on the roll-hall. 4k00:05Steadicam gimbal motion of mature blonde woman enjoying view at an overlook at Maryland Heights of Harpers Ferry National Park. 4k00:08Young man sits on a rock at Maryland Heights while looking at the view of Harpers Ferry National Park and the Potomac and Shenandoah Rivers. 4k00:18Mature woman walks with her teenage son down a sidewalk in a shopping area of Harpers Ferry National Park. 4k00:06Mature mother and teenage son turn a corner with camera following their motion in Harpers Ferry National Park. 4k00:08Camera booms down from view of Harpers Ferry National Park to reveal mature blonde woman enjoying the view at an overlook at Maryland Heights. 4k00:08Camera booms up from rocks to reveal mature blonde mother and son talking at an overlook of Harpers Ferry National Park. 4k00:08Camera booms up from rocks to reveal mature blonde woman enjoying the view at an overlook at Maryland Heights of Harpers Ferry National Park. 4k00:07Camera booms up from rocks to reveal mature blonde mother and son talking at an overlook of Harpers Ferry National Park.